The Grand Canyon is a must for outdoor enthusiasts, and now, it’s even better with a new zip line at Hualapai Ranch about a mile from the world-famous Grand Canyon Skywalk! Here are some of the stats on the Zip Line at Grand Canyon West: there are 4 lines so your group can race each other; the lines range in length from 1,100 feet to 2,100 feet; you reach speeds of up to 50 mph; and you’re nearly 1,000 feet above the floor of a spectacular side canyon. Purchase tickets on site, and note that windy weather conditions may suspend or shutdown zip line operations (phew!). 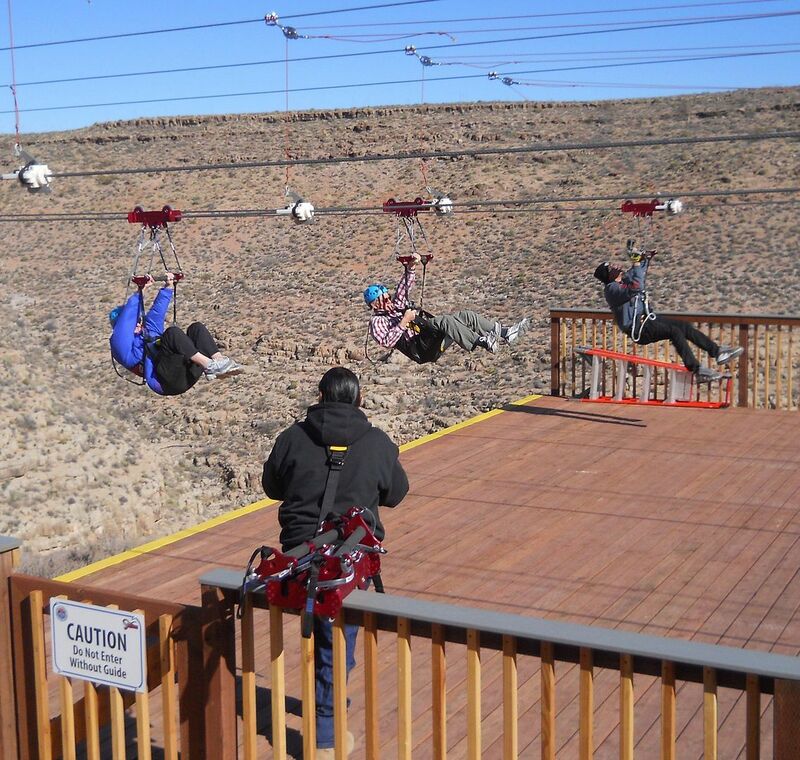 Soar above the canyon on the Zip Line at Grand Canyon West! Editor’s Top Finds of 2013: Escaping the Cold Weather!